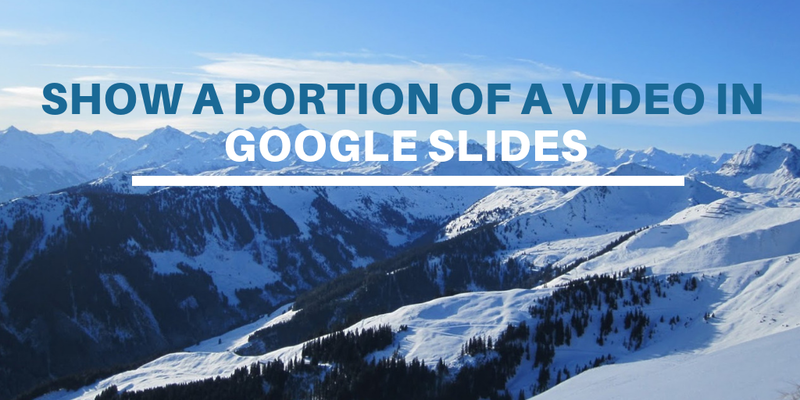 It's easy to insert a YouTube video into your Google Slides presentations. If YouTube is blocked in your school you can insert a video from Google Drive into your Google Slides instead. Both of those things can be done from the "insert" drop-down menu in Google Slides. But what is often overlooked is the option to specify which portion of a video you want to display in your slides. That can be done from the "format" menu that appears after you have inserted a video into a slide. Watch my new video to learn how to add a video to Google Slides and how to specify which portion of it should be displayed.